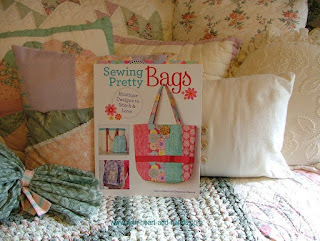 Michele Bilyeu Creates *With Heart and Hands*: "Sewing Pretty Bags" Giveaway for a Free Book! 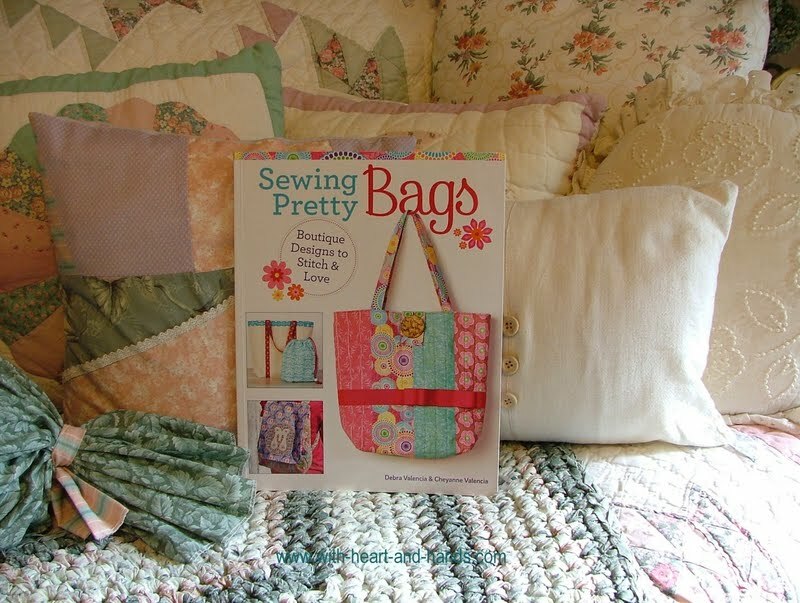 "Sewing Pretty Bags" Giveaway for a Free Book! I love to sew beautiful items of all kinds! From clothing, to accessories, to quilts, to decorative items, to gifts for any, and all occasions... to surprises for the special people in my life. But I especially love sewing purses and bags! I sew at least a half dozen a year. Many are utilitarian and are used for shopping at my local grocery store, to bring things to quilt guild, or to bring items I need in the car, at someone's house, to bring on a special trip. But when I make a bag for a gift (and a bag is one of my very favorite things to give) I want to give something pretty! And this wonderful book is filled to the brim with very pretty bags to make, for yourself or as a lovely, lovely gift! "Sewing Pretty Bags" is a new book by the talented sewing sisters, Debra and Cheyanne Valencia. With step by step instructions, they give a fresh, modern take on designing and sewing a variety of beautiful bags, with lovely ways to trim and accent them in ways that are both functional as well as pretty and fashionable! And as a wonderful opportunity for one of my reader/followers, I want to offer a copy of this book to one of you...absolutely free! As one a wonderful opportunity from Fox Chapel Publishing, creator of a fabulous variety of beautiful lifestyle sewing and craft books, I have been given the opportunity to review this exceptionally striking and lovely book filled with so many truly pretty bags of all kinds, and offer a reader a free copy! I am delighted to have been selected from so many others that love creating beautiful things, to be the sponsoring blog for this giveaway! 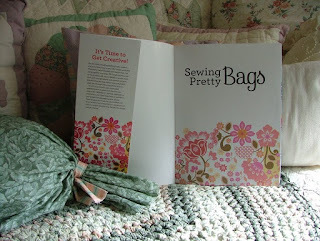 If you are a reader here, you get a chance to win this book by just leaving a nice comment about me, the book, making bags, giving away beautiful handmade gifts.....anything! Its easy, so join now, leave a comment and if you are an anonymous reader or shy about leaving a comment do so at: michelebilyeu@with-heart-and-hands.com and be sure to have an email listed so I can send you the notice that you win a copy of this book. Thanks for stopping by, and please do toss your creative hat into the winner's ring to own this truly well written, and designed book on "Sewing Pretty Bags"..trust, me a very appropriate title!! I'll do the random winner selection one week from the very first posting which was Sept. 7th so winner will be announced on Sept 14th...probably added to this post! Good luck to one and all of you lovely readers!!! Remember, to add in if you are a "follower" so you get all those extra chances. Just as a thank you. I am happy if you come here to visit, anyway, anyhow! Thank you all! It's because of all of you that this blog is closing in on 7.5 million views. Unbelievable!!!! 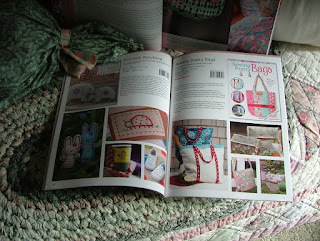 Peggy is one of my lovely Canadian readers and makes wonderful quilts, bags and other fun items. A kindred spirit for sure and a blog that I've visited many times! Congratulations, Peggy! Send me your full name and address and I'll get that to the authors and the publisher for your free book! I love bags, this looks like a great book too. I am a faithful follower of your blog. Michelle: I follow your posts via Feedly. Since I purchased my tablet my commenting on the blogs I follow has become a bit of a challenge due to the "touch" keypad. However, I so enjoy reading your blog and seeing the wonderful quilts you make! I have followed your blog for a long time and was inspired to send in 5 small quilts for AAQI and they sold fast. Our daughter got one. My husband had that terrible disease. Thanks so much for the giveaway, Michele. I love making bags too. I made all of the teachers at Church a bag to carry their books and supplies in. They LOVED it! It makes a wonderful present for Christmas. I am following you via Bloglovin. I enjoy reading your blog - I also live in Salem. Love your posts, especially about traditions and folk lore. Your blog is one I always look forward to, discovered through Mary Lou Weidman. I love to make bags--both as gifts and for myself and as a long time sewist, I love to create many items, from quilts to fabric bookmarks I'm making for my 5 grandchildren who have all started school. I follow your blog on Bloglovin. I have been making bags for about a year and love it. I live in Alaska. Fall is a beautiful time of year here. As the temperatures drop all I can think of is sewing, quilting and knitting! I am starting in the world of sewing bags, but I would love to learn how to make more beautiful bags! Well, I think you know I'm a follower. You are so funny, "leave a nice comment about me" made me snicker. You are the most caring and sharing blogger I know. Much love to you for all you do. 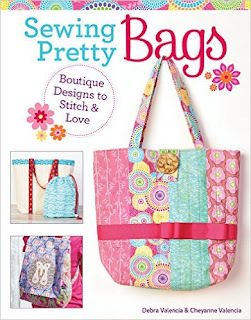 This book, "Sewing Pretty Bags", looks beautiful. I'm trying to learn how to make bags. I give stuff away all the time. Hope I win this one! What a lovely giveaway. I am a follower and love bags. This looks like the perfect book for making bags. I have been following your blog for awhile now and enjoy reading about all of your projects. You accomplish so much and are so generous with your giving. The book looks very fun and it is always nice to have a pretty bag to carry things in. Oh man, I have to say something nice about you?!? And I have to say it twice since Blogger isn't playing nice? Just kidding. I have enjoyed following you over the years. I admire and am inspired by your energy and your generosity to your friends, family and charity. Hi love making gifts for others+this books looks like it would be great ! Thank You for sharing on your Blog+this neat giveaway! I'm a GFC follower. The bags in the pictures are so cute. I want to learn to make bags. Thank you so much for offering this giveaway - I would love the book. Sewing bags is my favorite. I love making bags. They are such great gifts and you can get so creative. I follow by E-mail and BL. Great blog, so much going on. I love your blog and follow you daily!! I have only made one bag but I love it!! 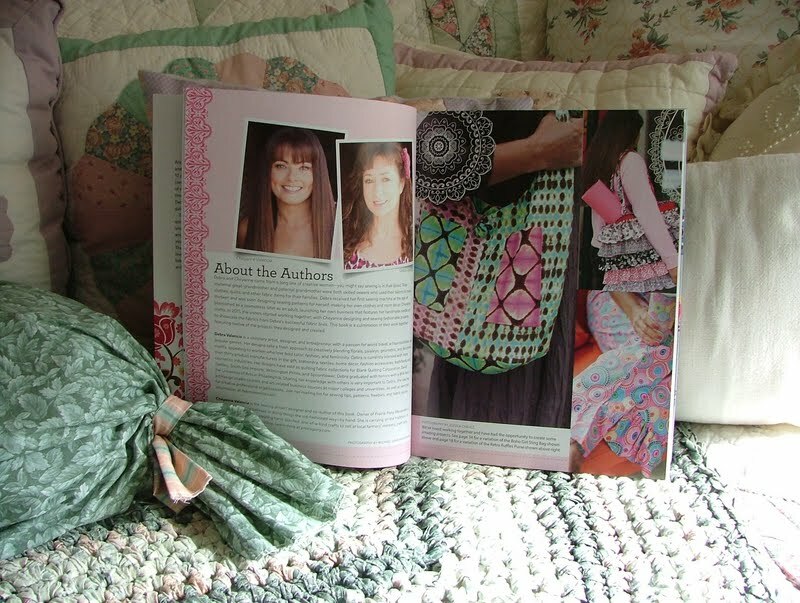 Owning this lovely book would certainly inspire me to make more! Thanks for the chance! I follow your blog now, or though I've been reading it for some time. I have only made simple tote bags so far. The bags are beautiful! ! Thank you for sharing with us!! I'm a regular reader but don't subsribe. I would still love to enter this. My address is being mailed. Joanne C.
Yes, please, I would love to own this and make some pretty bags!